Chuck Frazier, Ph.D. is the head of our Formulation Sciences Team and spends his days managing all of the product and process development happening here at Apeel Sciences. Raised in Southern California, Chuck received his bachelor’s from the University of California, Berkeley and went on to receive his Ph.D. in organic chemistry from the University of California, Santa Barbara. After graduating, he began working with the Apeel team and now spends his time outside of work hanging out with his family and exploring Santa Barbara. Get to know our Director of Formulation Sciences by reading on!  What do you do for Apeel Sciences? I oversee the Formulations Team, which encompasses both product development and process development. The Formulations Team is unique because half the team is focused on creating new formulations to extend the shelf life of produce, and the other part of the team is focused on scaling up the extraction processes that we use to create the components of those formulations. So although my team covers two very different things, we are the team that is in charge of all things “formula”. What first interested you about working in materials research + synthetic organic chemistry? From the time I was very young, I have always been fascinated with how the world surrounding us works. I wanted to know what plastic is made of, why shampoo works, how chemicals come together to create things, and so on. The form and function of the world have always interested me, and because of this, I’ve known since high school that I wanted to be a chemist. Originally, my focus during my Ph.D. was purely synthetic organic chemistry. However, my Ph.D. advisor, Prof. Javier Read de Alaniz was also interested in materials science, and the group extended some of the chemistry research into the materials side. After being exposed to both, I knew I wanted to continue my career working at the interface between the two disciplines. For the non-scientists, what is organic chemistry? Organic chemistry is a branch of chemistry focused on building and manipulating molecules containing carbon. I love organic chemistry because everything happening around us (or inside of us) is organic chemistry at work. Humans are carbon-based lifeforms, and every living thing surrounding us in our day-to-day life is comprised of organic molecules in some shape or form. When you study organic chemistry, you’re basically given the key to understanding how the world works. What is your favorite thing about working at Apeel Sciences? The people! I work with a set of really talented people who are interested in solving hard problems. I derive a lot of energy and satisfaction from seeing my team tackle complicated technical challenges. I was at a conference during my Ph.D. and asked someone a question about how to become a manager at his company. He told me that I should stop worrying about that and focus on demonstrating a consistent pattern of execution and success with whatever responsibility I have. By doing that, the scope of work would continue to expand and I’d find myself taking on more and more responsibility. From that point, the rest would take care of itself.